Why do we neutralize flavors? – Just For Sybarites! The perfect companion to tacos is lime. No doubt about it but why do we like certain flavors together? We have a natural tendency to neutralize flavors, which means balancing the flavors we get together on our palates. This is not only a matter of flavor but it goes beyond towards the obscure fields of chemistry. There are sweet, salty, tart, bitter, spicy, sour, fatty, pungent and many other types of flavors. 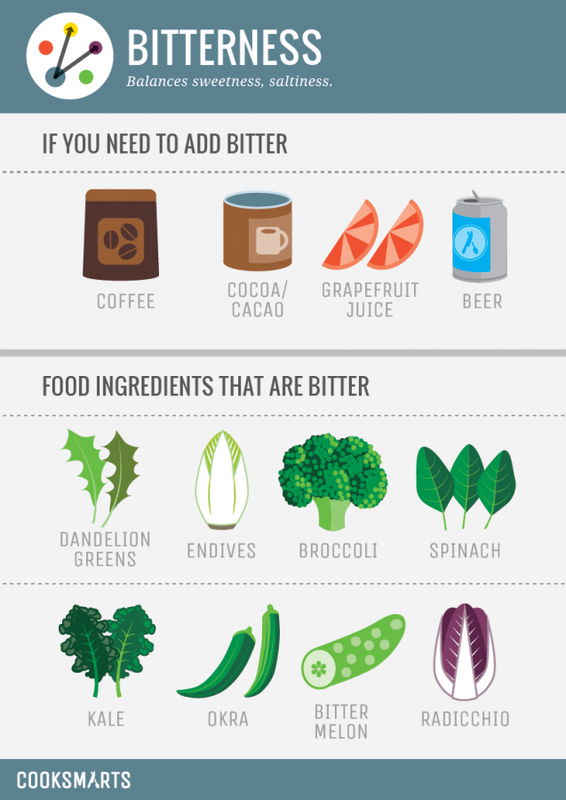 Some are alkaline some are not and when they come to a chemical balance, the flavors will come together into a magical experience of perfection. Sweetness balances salty tastes, this is a great trick in cuisine if you have a sauce that happens to be very salty you can add a pinch of sugar and the sensation will diminish. 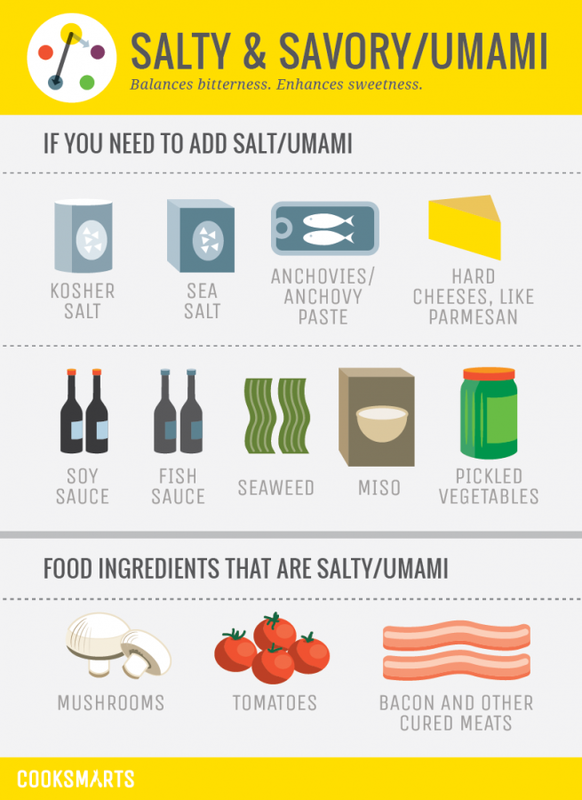 Another option is to add sweet elemenets to salty ingredients such as melon to prosciutto. Sourness balances saltiness and extremely sweet tastes, lets say you have a very sweet vanilla cream, the perfect companion would be some sour raspberries. 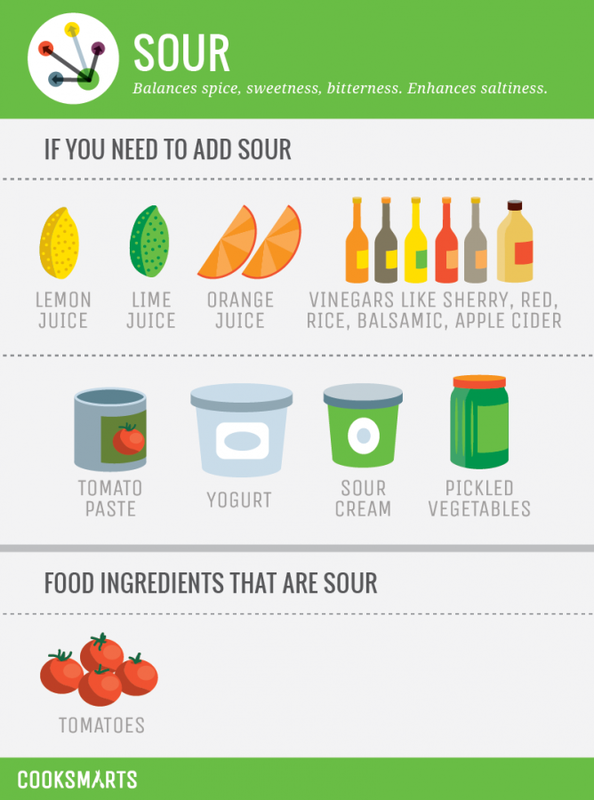 This works the other way around, adding some sugar to a sour taste makes it better (lets say orange juice, if the oranges were too sour or acidic just add some sugar). Salt also balances sour tastes, ever had a tequila with salt and lime? there you go, salt makes lime more bearable to the palate. 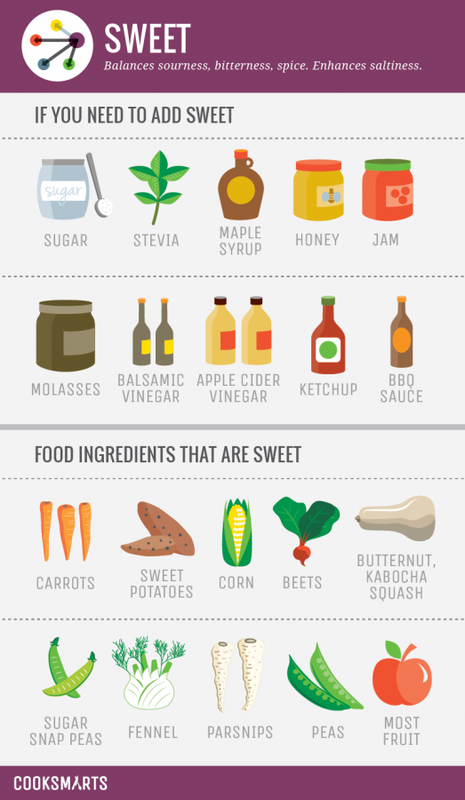 Fat balances extremely sweet or salty flavors. If you made a mistake and your sauce is too salty, add some cream to it and it will immediately reduce the intensity of it. The same for a very sweet dish, lets say a cake that turns out too sweet, add some whipped cream and it will fix it on the spot. Sweetness balances bitterness and acidity that’s why we love so much adding some sugar to a grapefruit or why a touch of reduced balsamic vinegar (quite sweet) tastes great with arugula (which is bitter). Here I could mention the easiest example which is coffee and sugar. Acidity balances fatty tastes, the perfect example is when we add lime juice to fatty tacos or why a wine with high acidity goes great with a steak high in fat content. Fat balances spiciness, capsaicin is the chemical in charge of waking up your tongue through chilli. 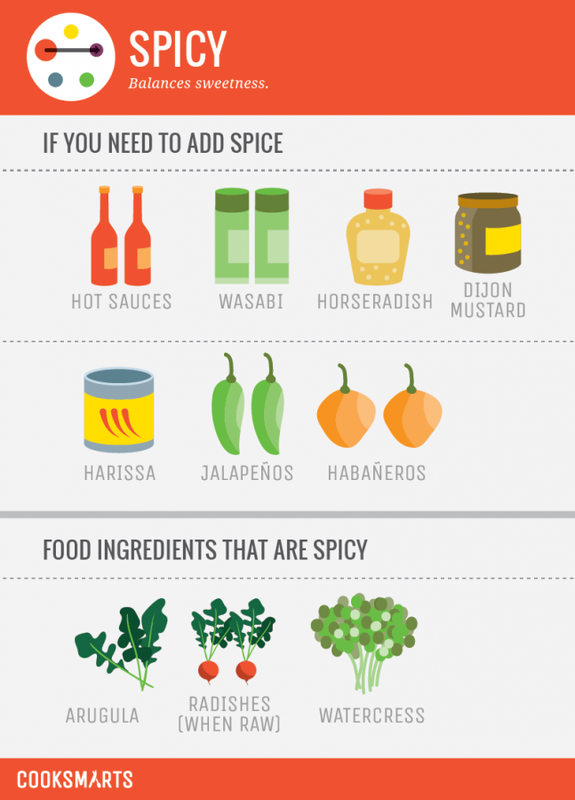 Have you ever eaten something very very spicy and everyone tells you different things to make it better? Some say you should put salt under your tongue, some to drink milk.. Reality is that fat will make it better, lets say a slice of avocado which is rich in healthy fat. This also means that the higher the content of fat in your dish, the more chilli you will need to make it taste hot. Like the ones mentioned above, there are several combinations that work. Many of them become a second nature and you don’t even do it consciously. Try making the experiment of splitting flavors of your favorite dishes, no matter how simple they are and you will find the balancing factor. From frosted flakes (sweet) with milk (fat), to barbecued (sweet, sour) ribs (fat, salty). In the end chefs are alchemists are we not? 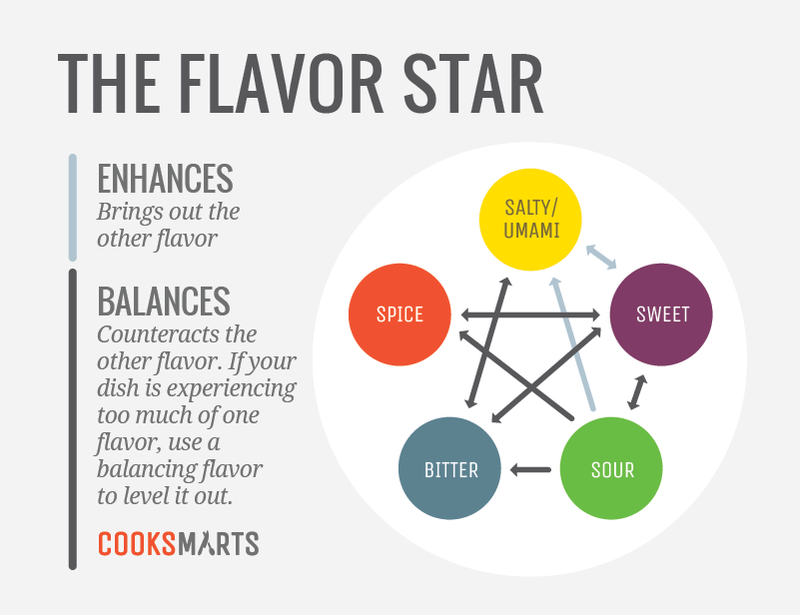 For more on flavor profiling go here and here or here.